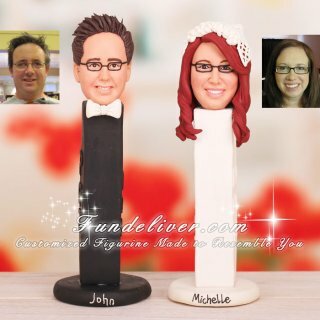 This is a completely customized pez bride and groom wedding cake topper ordered by one of our customers. 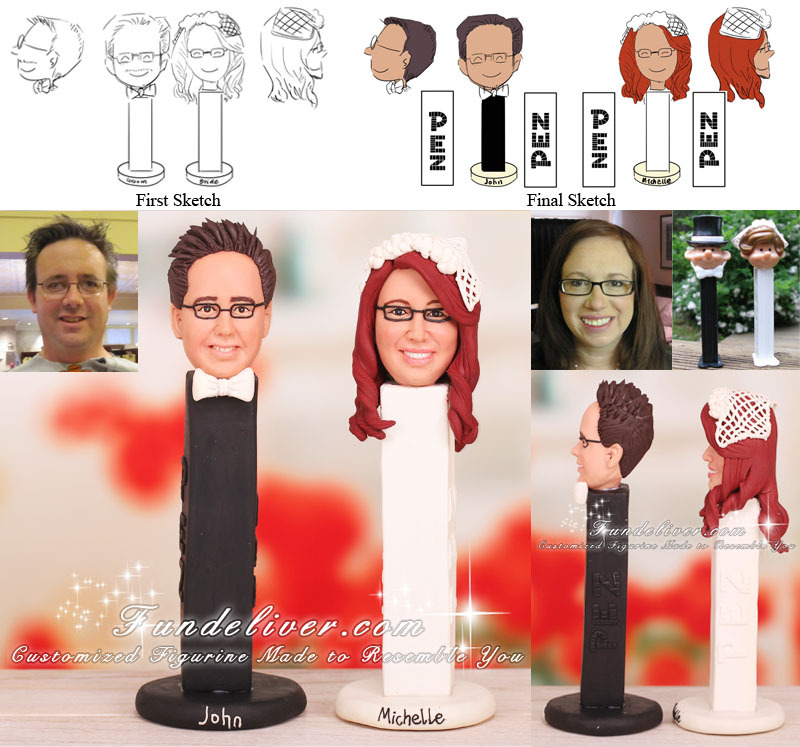 They was going to use the bride and groom pez as their cake topper but to put their faces on the pez bodies instead. For the bride, they would like the bride to have the same veil like the dispenser as above image, but for the groom they don’t want the dispenser’s top hat. On the left side, the word PEZ goes down normal, but on the right the Pe wording is upside down.